Hello Guys, We are here with new post related to Bollywood upcoming in 2017. This time we sharing some latest information about upcoming movie Jeena Isi Ka Nam Hai release date, star cast and story plot. This is a romantic drama film directed by Keshav Panneriy and produced by Purnima Mead and story by Purnima Mead. Himansh Kohli, Manjari Fadnis, Arbaaz Khan, Prem Chopra, Ashutosh Rana are playing main lead role. This is a romantic drama movie. The first teaser of this film has already released. Keshav Panneriy is debuted in Bollywood by this film. After long time Arbaaz Khan is doing a film. 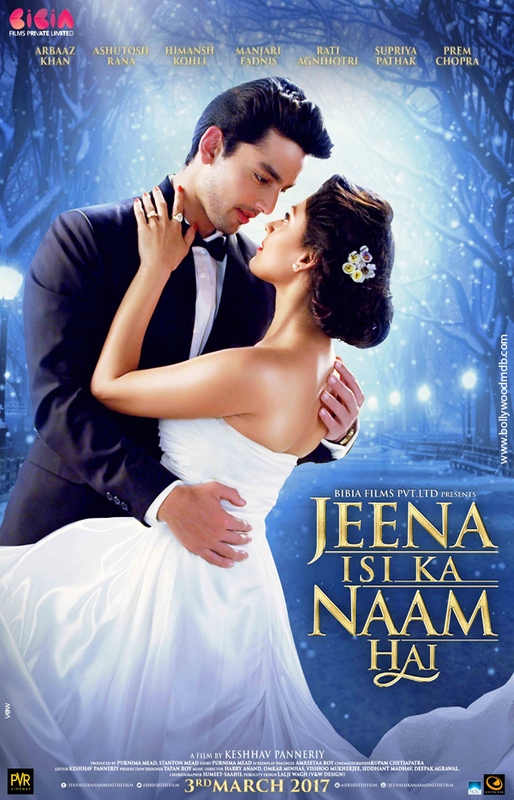 Himansh Kohli Yaariyaan movie fame actor is also playing a important role in this movie. We have already sharing first look and poster of this film. Production company : Bibia Films Pvt. Ltd.